So, you’re hosting Thanksgiving this year? If you’re stressing, you’re not alone. This seems to be the most anxiety-ridden holiday to host, probably because it completely revolves around the food you’re preparing. If you mess up another holiday’s meal, at least there are presents to make up for it. But T-day is all about that turkey and everyone’s favorite you-can’t-skip-that side dish. 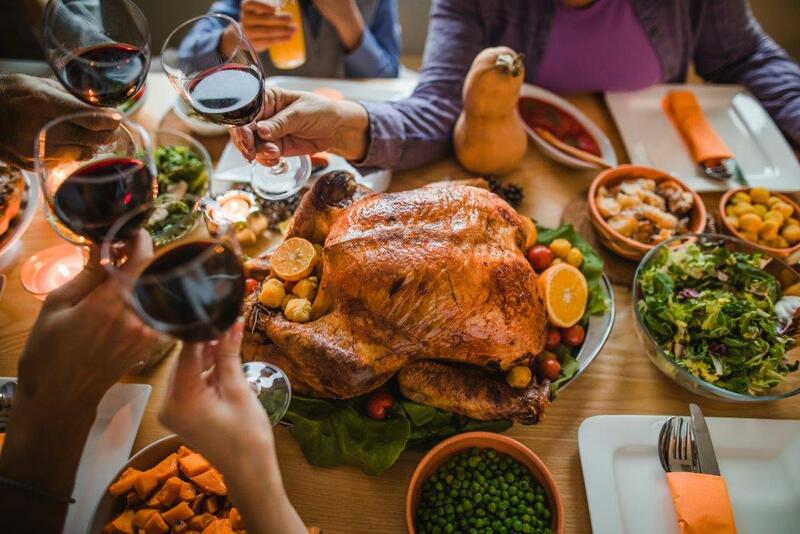 Don’t worry though, we have some tips and tricks to help you host this year’s Thanksgiving like a pro. Make yourself a list and get to the store a couple days ahead of time. Inevitably, there will be a forgotten item. So, allow yourself time for another run, instead of making that frantic call to your sister the day of: “I forgot the cranberries!” And make sure to double check all the “oh we have those” items—you don’t want to run out of salt in the middle of cooking. Start with the time you’d like to eat dinner and work backwards. Think about which foods will take the longest to cook, and which dishes you could get out of the way ahead of time. You could start on roasted vegetables or casseroles the night before, or even just get the washing and chopping prep-work out of the way. Glasses, a water pitcher, an ice bucket, bottles of wine…those can all be strategically placed outside of the kitchen, so you don’t have extra bodies in your cooking area every time someone wants a top-up on their wine. Reserve those extra bodies in the kitchen for volunteer green-bean-washers and potato-peelers. Consider buying two smaller birds as opposed to one giant one. They’ll fit in your oven easier, and you can keep one intact for your centerpiece (or for your Instagram), and have one to be carved ahead of time. Some even suggest that cutting up the turkey before cooking can be beneficial, as you won’t have to wait for the dark meat to catch up with the light meat. If this is your first Thanksgiving as the host, you’re probably not used to serving large groups. Your meals are most likely served from stove to plate and carried to the table, but this family-style dinner requires multiple serving platters. You might need to dust off some of those “wedding registry” items from the backs of your cupboards or take them out of storage. And if you’re the type who plops down a roll of paper towels on the table for the majority of your meals, make sure to put some thought into your napkins. If you’re going for a formal setting, you’ll want cloth napkins, but if you’re keeping it casual, just make sure you display those paper napkins nicely.